As a homeowner, you probably desire a pristine, well-manicured landscape that you can enjoy this summer. Unfortunately, this requires some work and you would rather sip iced tea and improve your tan on the weekends instead of doing yard work. We get it, maintaining a nice-looking yard isn’t easy, especially when there are so many things you would rather be doing. In addition, it does take a certain level of skill and knowledge to keep your yard in good order. For example, do you know how to properly seed and aerate your lawn? Who cares because you have a fishing trip planned this weekend. You see, there are just more important things to do than deal with your yard this summer. And then there are all of the things you need to buy to keep a well-landscaped lawn. In addition to weed trimmers, hedge trimmers and lawn mowers, you need to have rakes, weed pullers, snips, pruners, the list goes on and on. 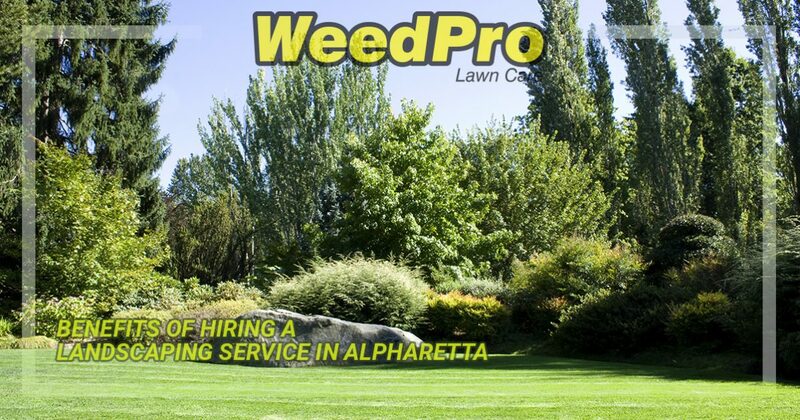 It becomes quite obvious that hiring WeedPro, your landscaping service in Alpharetta, makes perfectly good sense. 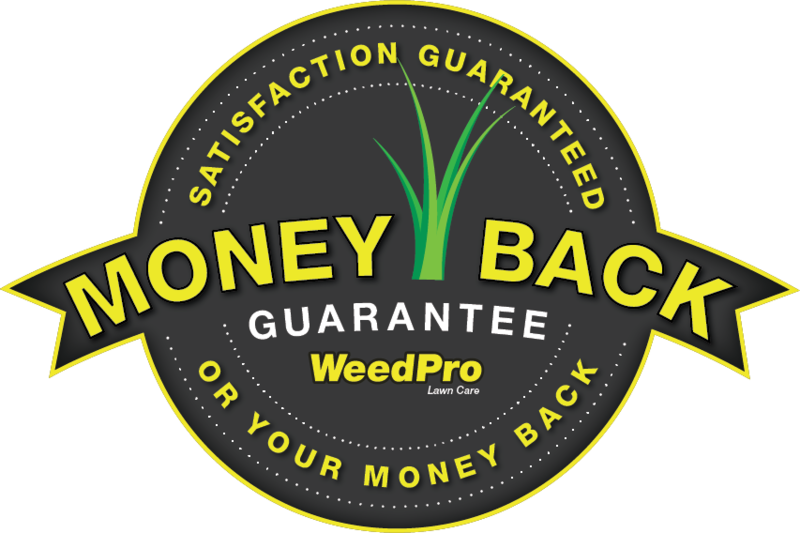 You have a choice when it comes to lawn care; you can either spend a lot of money and a lot of time buying equipment and landscaping your own yard or you can spend less money hiring WeedPro to come do it for you. Seems like an easy choice. But if you remain unconvinced, here are a few more benefits of hiring a landscaping service. A landscaping service will leave your lawn looking much nicer than you could ever imagine. A professional team of landscape artists can take your vision of the perfect yard and make it a reality. They will make your yard come to life. The best you can hope to do is make your yard look somewhat decent. Of course, you have problems getting the lawn mower started. By leaving the lawn care and landscaping to the professionals, you have more time to do the things you want to do, like sitting around and listening to your collection of Styx albums. You hardly have enough time to do the fun things and errands that you want to accomplish over the course of the week. Adding yard work to your list of chores means having to cut out grocery shopping or skipping the dentist appointment you have scheduled. Well, you can’t do that. You would have to cut out that bike ride or camping trip. Which means you are replacing fun things you love to do with yard work. 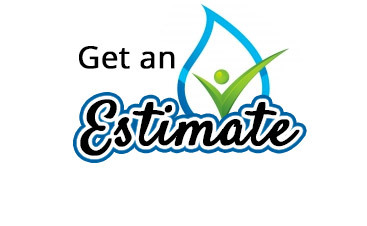 Once you sit down and add up all of the tools and other materials you need to maintain your yard, a lawn care service seems really inexpensive. You bet a perfectly landscaped yard will increase the value of your home. Not only that, a landscaped yard will increase curb appeal and draw potential buyers inside. The one thing you don’t want to be as a homeowner is “that guy.” And by “that guy” we mean the homeowner who has an unkempt yard which stands out like a sore thumb. You want to contribute to the beauty of your neighborhood, right? You can’t do that if you are the one doing the minimal amount of work to maintain your lawn. Hire a professional and help give your neighborhood a good look. 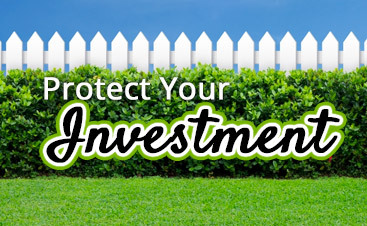 You bet a well-manicured yard will keep your home more secure. While most people think about landscaping in terms of watering, mowing, trimming and seeding, it accomplishes a lot more than that. You see, when the trees and bushes are trimmed and the pathways are clear, it gives potential thieves fewer places to lurk about in hiding. Because what they want is a yard they can hunker down and hide in until the time is right to strike. 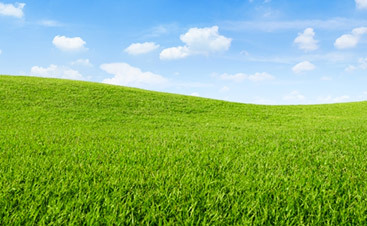 When you hire a lawn care service, you have a great looking lawn. When you have a great looking lawn, you want to throw a party to show it off. When you throw a party, you meet members of the opposite gender and ask them for coffee and a movie. When you go out for a movie and coffee, you have improved your social life. So call WeedPro right away and improve your social life.